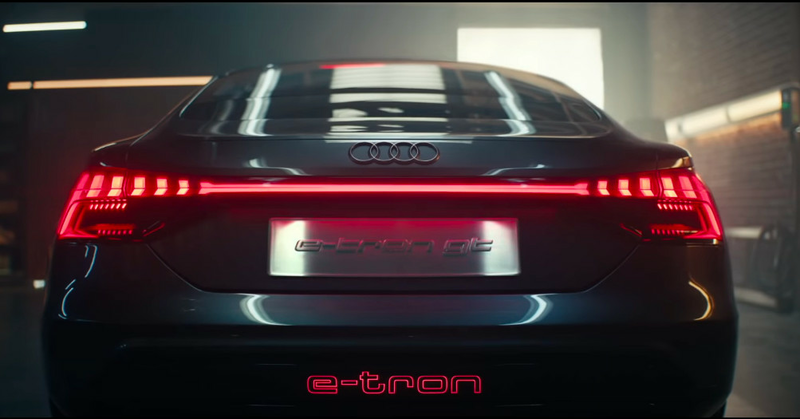 Audi's Super Bowl ad stars the super-sleek, presumed Tesla-challenging e-tron GT electric sedan, currently set to go on sale in early 2021. The commercial is pretty odd from top to bottom, in that it starts with a young man wandering through some sort of agricultural dreamscape and stumbling upon his dead grandfather in front of a large farmhouse. Grandpa takes him into childhood and reveals the e-tron GT, which the grandson gets into and does Marty McFly impression. Then he's jolted awake: He was choking on a cashew. He's actually in a gray-on-gray-gray office building and not in a fancy electric car. Everyone in the office is excited that he didn't have that, though! (His co-worker heroically delivered the Heimlich maneuver, ending his sweet dreams of electric cars and rebooted dead relatives.) Also, Audi announces at the end of the commercial, one-third of its cars will be electric by 2025. “Electric goes Audi, "if it were. Whether a Super Bowl can really do anything to excite about electric vehicles remains to be seen – and is frankly dubious! – but at least we all got a good scare.